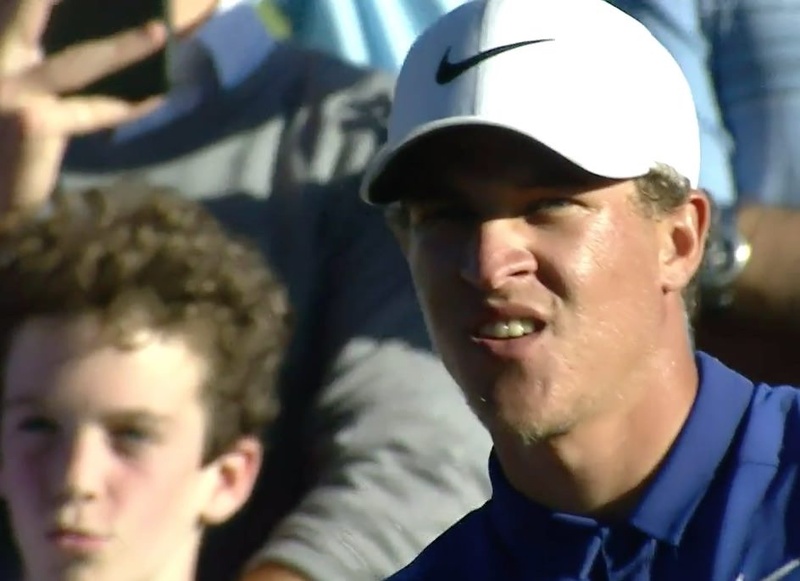 Rookie Cameron Champ spectacularly birdied five of his last six holes to clinch his maiden win in the Sanderson Farms Championship in Mississippi as Seamus Power opened his FedExCup account by finishing 19th. The big-hitting Californian starlet (23) led by four shots overnight and while he was caught by Corey Conners by the turn, he single-putted the last six greens to card a 68 and win by four strokes with a tournament record total of 21-under par. After rattling in four birdies in a row from the 13th to go two shots clear of Conners, he followed a clutch par save from 15 feet at the 17th by drilling his 160-yard approach under trees to seven feet at the 18th to close with a birdie. It was also a good week for Power, who dropped just one stroke in a four-under 68 to finish 19th on 11-under and clinch first FedExCup points of the 2018-19 season. Power now joins Graeme McDowell, Jim Furyk and US Ryder Cup stars Tony Finau, Jordan Spieth, Rickie Fowler and Bryson Dechambeau in this week's Shriners Hospitals for Children Open in Las Vegas. Ten strokes behind Champ overnight, Power birdied the third, sixth, seventh and 11th and followed a solitary bogey at the 12th with another birdie at the par-five 14th. Having missed the cut in his first start of the new season in the Safeway Open three weeks ago, it was a positive result for Power (31) and his new coach, Nick Bradley. The Toornaneena native, who was unhappy with his long game last season, was fifth for strokes gained off the tee in Jackson. But he’s now 103rd in the FedExCup standings where Xander Schauffele’s win in the WGC HSBC Champions catapulted him from 60th to first. Champ, meanwhile, is now sixth. Harrington believes Saudi Arabia move can be "positive force"